National Geographic’s World’s Best Eco-lodges – Latin America Cleans Up! Wonderful examples of tourism done totally right, Latin America’s World’s Best Eco-lodges – as listed by National Geographic – are reason enough to get packing and get travelling! National Geographic has just released its collection of World’s Best Eco-lodges and we certainly weren’t surprised to find that, out of the 44 worldwide contenders, Latin America is home to 12. We’ve long-since known that Latin America offers a wealth of options for those who love exploring and love Mother Nature, in equal measure, and have been dedicated to offering stays in eco-conscious and socially-conscientious lodges for years. Set amidst some of the planet’s most precious wilderness and showcasing an astonishing balance between man and nature, Latin America’s best environmentally-conscious lodges are beacons of sustainability. Each spectacular lodge offers guests the chance to explore and enjoy its own little corner of unspoiled paradise, whilst engaging with local communities to provide a much-needed income and striving to continuously keep its environmental impact to a bare minimum. Here are our top four faves we know you’ll love. A beloved member of director Francis Ford Coppola’s family, Coral Caye is as evocative as its dreamy name suggests. This 2-acre private island resort is just 13kms off-shore in southern Belize on the Placencia Peninsula, right in the heart of the world’s second-longest coral barrier reef. Almost entirely covered in pristine jungle and inhabited by an exotic array of birds, Coral Caye has been in the Coppola family for years and made available for as a private rental since 2016. Reef sharks, manatees and a host of marine life meander about the turquoise waters that lap the island and the two guest lodges, defined by their stunning simplicity, can accommodate up to 10 guests. Constructed using natural materials and designed to blend in with its Caribbean environment, Coral Caye defies its Hollywoodian roots in every which way, offering a Robinson Crusoe-style getaway yet with enough luxurious comfort to justify the rental fee. 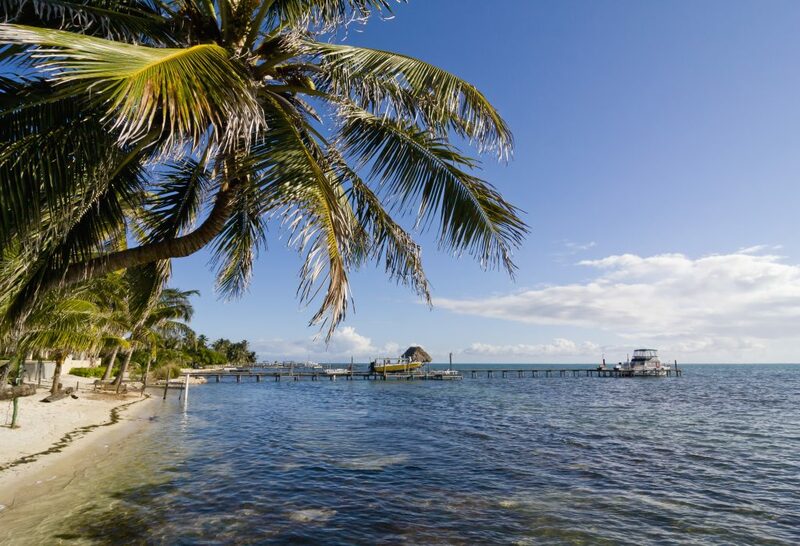 Easy to reach yet remote and private, Coral caye has all the amenities you’ll need minus any which you won’t. Out there, floating along Belize’s Barrier Reef, it’s Mother Nature that sparkles best. For a more affordable yet equally outstanding experience on Belize’s world-class barrier reef, check out our 4-day Caye Caulker tour. Sustainability: Unbeknownst to many, Coppola has been a prolific hotelier for decades and owns various properties all over the world. Coral Caye is the first eco-lodge in his portfolio and his sustainable practices, as a first-time eco-warrior, are certainly impressive. Aside from the sustainable and recycled materials used to construct the lodges, Coral Caye takes water conservation and renewable energy to heart, whilst simultaneously working with local conservation organizations to help preserve the fragile marine ecosystem on which it literally floats. THE Latin America eco-conscious destination by which all others are measured, Costa Rica features twice on National Geographic’s World’s Best Eco-lodges list. The first contestant is Lapa Rios, a much-celebrated conservation lodge set on a privately-owned 1000-acre protected reserve in the heart of the Osa Peninsula. This wild western pocket of the country is home to some of Central America’s last remaining lowland tropical forests and inhabited by a host of endemic wildlife like scarlet macaws, several species of monkeys, coatis, both two and three-toed sloths, pumas, jaguars, ocelots and more birds, reptiles and amphibians than you could ever spot in one lifetime. Although sustainability and wildlife-protection are at the very heart of every aspect of Lapa Rios, this sensational eco-lodge isn’t exactly shabby, if you catch our drift. You’ll find 17 glorious thatched-roofed bungalows affording breath-taking views over the Pacific Ocean, a salt-water swimming pool, various wellness extras like yoga classes and massages and delicious organic meals. Best of all, a team of naturalist guides hold daily walks and evening presentations to get you acquainted with this incredible corner of Costa Rica’s wilderness. Our 4-day Lapa Rios Stay offers a beach and forest escape you’ll never forget. Sustainability – Lapa Rios is the brainchild of a couple of ex-US Corps volunteers who sold off their worldly possession in the early 1990s to purchase a slice of Costa Rican paradise for preservation. 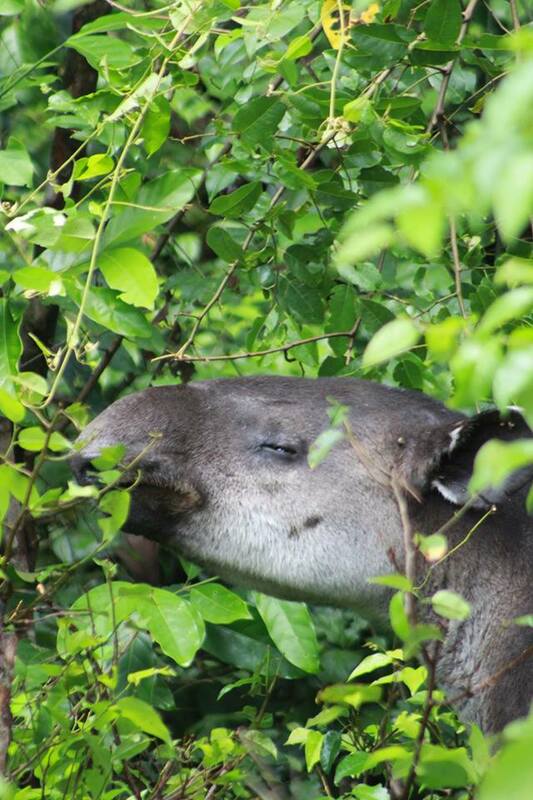 The protection of their immensely biodiverse property has always been at the forefront of all their decisions and the building of one of the country’s first-ever eco-lodges was a wonderful way to raise conservation funds and awareness of deforestation as well as offer outsiders a chance to explore – and fall in love with – the Osa Peninsula’s rainforest. An unplugged destination like few others, Lapa Rios offers guests the priceless chance to get away from it all and get totally engrossed in pristine nature. Offering an authentic estancia experience in Argentina’s beautiful Cordoba region, this family-owned ranch is a working farm with a most defining difference. Guest can have a delectable test of outback life, Argy-style, with horseback riding trips, bird-watching excursions, farming experiences, rock-climbing, trekking, fishing, waterfall swims and the kind of organic and home-grown gastronomic feasting everyone dreams when visiting Argentina. The farm has been in the Begg family for four generations and their eco-tourism enterprise is part of their efforts to keep the 6500-acre property protected and thriving for posterity. So leave the i-pads, TVs and beauty treatments where they belong – in another world – and come be a gaucho for a few days instead. 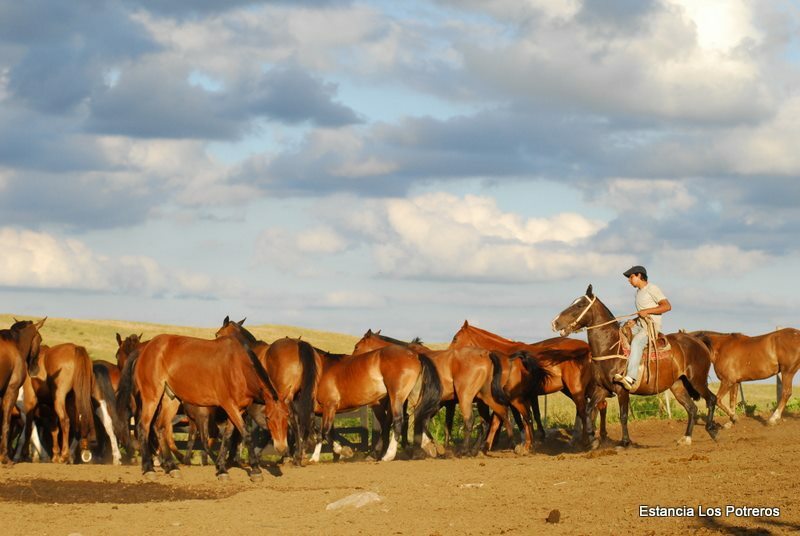 See the unforgettable experience we offer at Estancia Los Potreros. Sustainability: Self-sufficient and completely off the grid yet convenient to reach, Los Potreros reached peak sustainability long before the eco-friendly tourism movement even started. Everything needed to run the ranch is self-made and self-grown and the family grants various conservation groups access to the land to study the ill-effects of introduced plant species, as well as making their extensive property available to rehabilitated native wildlife. Their love of the land and its animals is contagious and their efforts to preserve them both very admirable. Rated as one of the Best Patagonia Lodges in Chile and showcasing the brand-new spectacular Parque Patagonia, The Lodge at Valle Chacabuco offers a sublimely cosy mountain escape amidst what is, without a doubt, some of the most magnificent wilderness on earth. A central living area entices togetherness and chit-chat whilst a library elicits moments of contemplative solitude. Expansive windows ensure you never miss a second of that glorious view and a cosy fireplace, plush furnishings and luxurious rooms do a fine job of fighting your urges to get out there and actually explore the park. Which you really should. 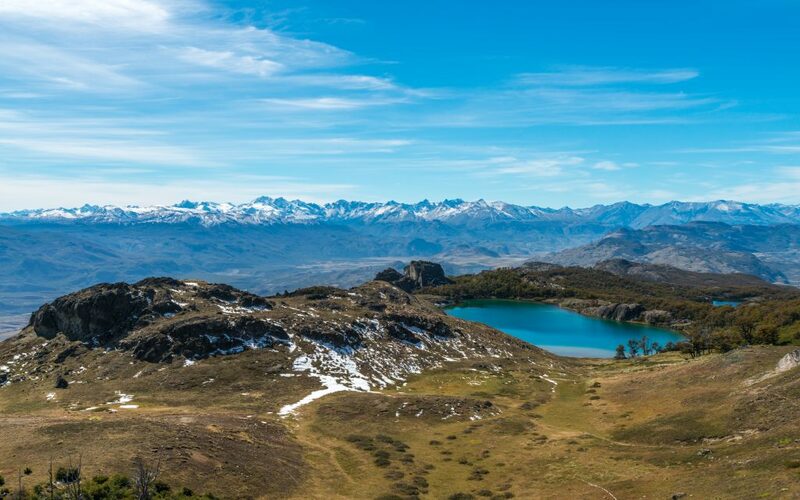 A hiking mecca like few others, Parque Patagonia offers short and multi-day trails, some of which are leisurely and others requiring considerable experience. Local guides are at hand, wildlife, lakes, vertiginous peaks and drop-dead-gorgeous scenery is at every turn. At the end of a day’s explorations, knowing you can come home to a delicious meal and flowing Patagonian wine just adds to the allure. Sustainability: Parque Patagonia itself, part of Chile’s new Route of Parks, is one of the world’s most impressive environmental success stories, created to protect over 200,000 acres of priceless Patagonian wilderness and all those wonderful wildlife species who call it home. Not that the lodge itself undoes the great work, mind you. Built using local and recycled stone and timber, The Lodge respects the wilderness which surrounds it and runs under strict eco-friendly principles, using biodegradable products throughout and minimising the impact of its guest’s patronage. Set to become the world’s first national park to run completely on renewable energy, Parque Patagonia is an unmissable delight for all eco-conscious travellers. The thrilling landscapes of Patagonia. Credit: Shutterstock. This list of Latin America’s best eco-lodges is by no means exhaustive. More outstanding options for brilliant and environmentally-friendly accommodation can also be found in Peru, Bolivia and Ecuador. Contact us for more info if you’re interested in a unique and utterly rewarding stay during your upcoming tour of Latin America.